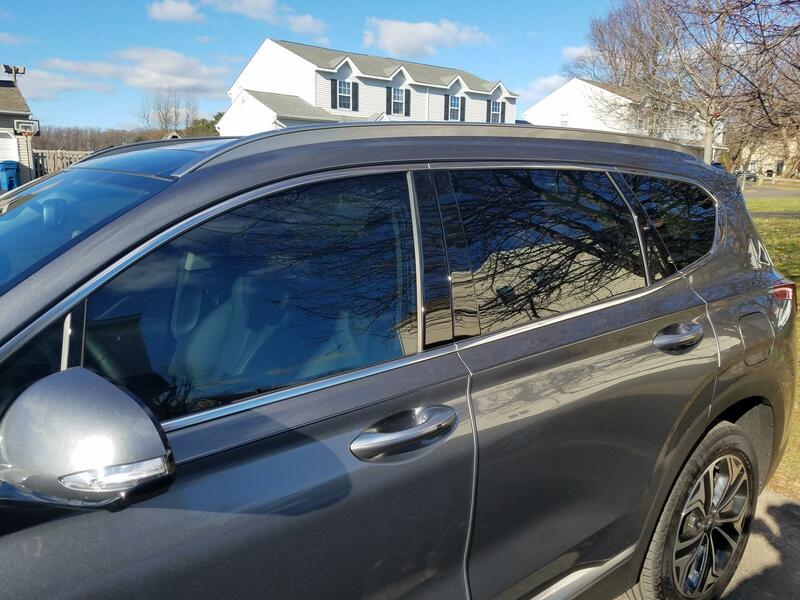 Tinting: Has anyone gotten the driver’s and passenger’s windows tinted? 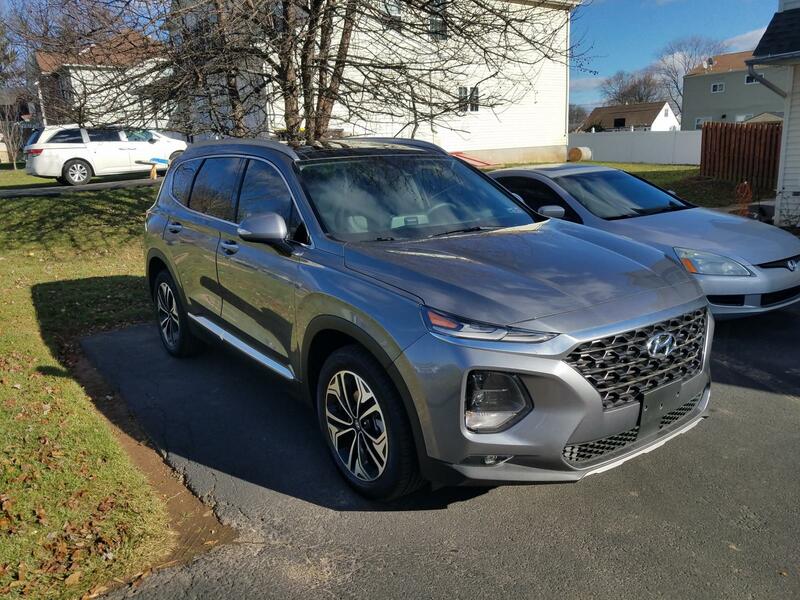 My dealer did mine on my 2017 Santa Fe. I also had them make the back windows darker so rear passengers stayed cooler in the Texas heat. I've done this on all of my vehicles and have had no problems. Just follow the tinting degree laws set by your state and you should not have any problems. Check with your dealer as to who they use. Congratulations on the new ride. Dealers do it, but you'll pay twice as much. Here in arizona they have independent tint shops everywhere. I'm not sure if it's the same where you live. I did legal because I dont like it to be too dark to look out the sides at night. Also I don’t need and cop problems, who does? Even though it doesn’t look like much any uv blocking is worth the $75. Dont have it done at the dealer you will over pay. There are independent shops everywhere, just be sure they have been in business awhile, have good reviews and use a name brand film like 3M. most will give a lifetime guarantee. It is an easy job to have the front windows lightly tinted to match the rest. Every state is different as far as what is legal and any good shop will have it posted or give you information, then its up to you to stay within legal limits. . Again the local shops can give you an idea of what people get away with in your area. For example Im in California, here we can not do anything to the windshield or the drivers and front passengers window, but most people do tint them and get away without problems , especially if you are only going to match the other side windows. Last edited by xaran; 03-22-2019 at 11:01 AM. Got the front tint to match the rear. Cost $110 at local shop. Used LLumar tint (won't turn purple) with lifetime warranty. Would have been $90 if not for the little corner of glass in the front now. Those were $10 each. In and out in under an hour. Looks like they did a nice job. Nice looking ride. Nice, I also have a gray model and I plan do get the same thing done to mine. I debated getting the stock rear tint darkened, but I will hold off for a summer.. I have not had a chance to experience any real sun with it yet.